Basic Grey's Herbs & Honey I want it all bundle, from FotoBella, is packed full of country charm, which was just what I was looking for in this 2 pager that I scrapped from my little Brother's birthday party. 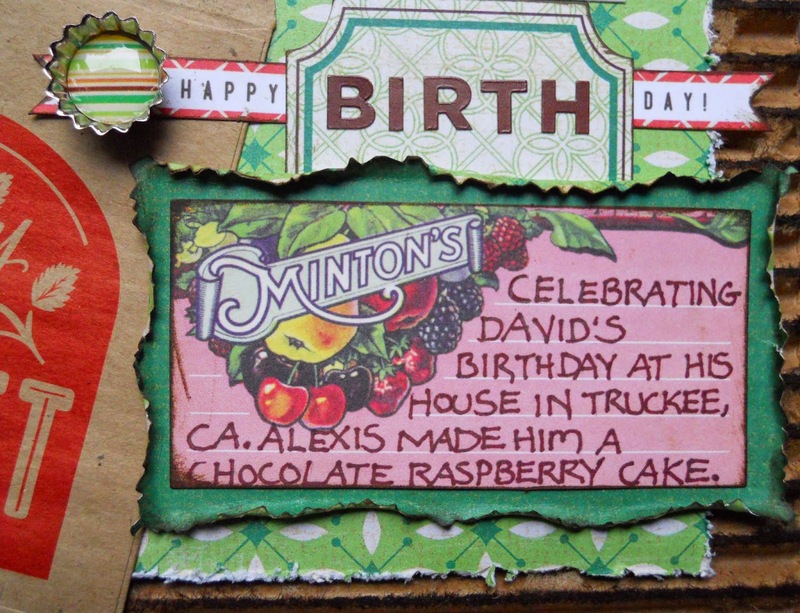 I placed the photo of the Birthday boy coming out of the Berry Sweet Printed Kraft Bag, which I think works well with the inked cardboard behind it. I cut the white banner from the Diecuts and Transparencies that says Oh Happy Day in half, and covered Oh with the striped Bottlecap Sticker. Then I added another sticker to place BIRTH in between them using the Alpha Stickers. For the date I used the Jumbo Kraft Numbers with the Mixed Brads, which I also used on the pink flower around the wreath frame that I made from one of the Snippets.I told you I'd use my leftover flowers from the jar of flowers that I made previously. I even made some new ones. 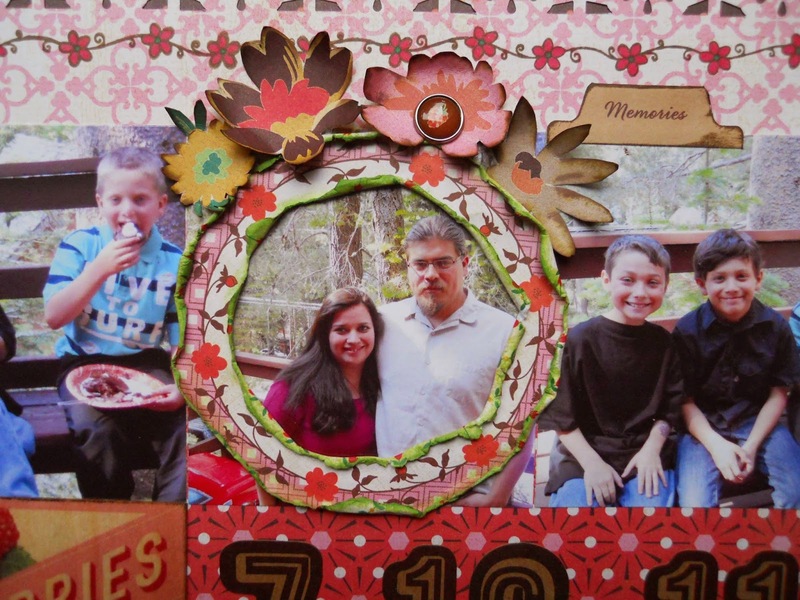 The Raspberries Wood Die Cut went perfectly with these photos! I stamped the zigzag on the left page and the floral border on the right, using Prisma Markers to color in the flowers. I finished it off with red hand-stitching around the edges.